Creamy, colourful, and delicious! Turmeric brings a bright, earthy flavour to this gluten-free and vegan Instant Pot cauliflower and potato soup recipe. 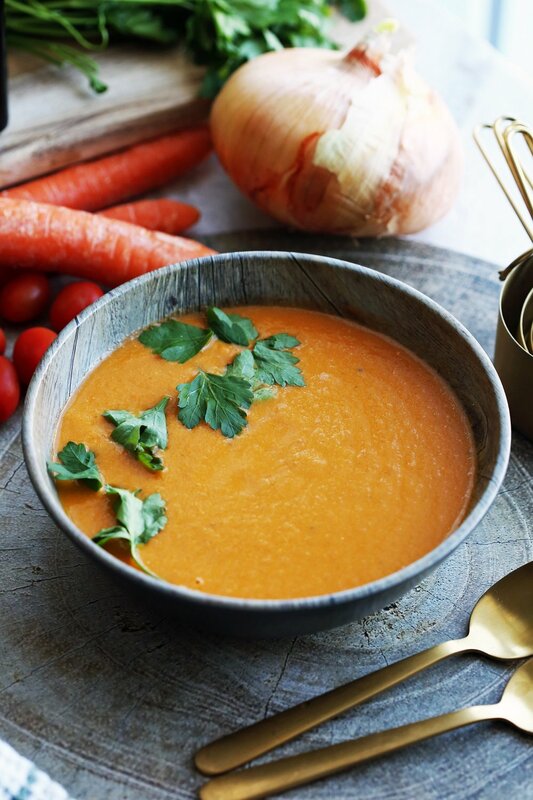 Carrot Orange Ginger Soup is fresh, delicious, and nutritious. This one-pot soup recipe is an easy weekday meal or side dish that’s vegan and gluten-free! Stove-top and Instant Pot instructions available. 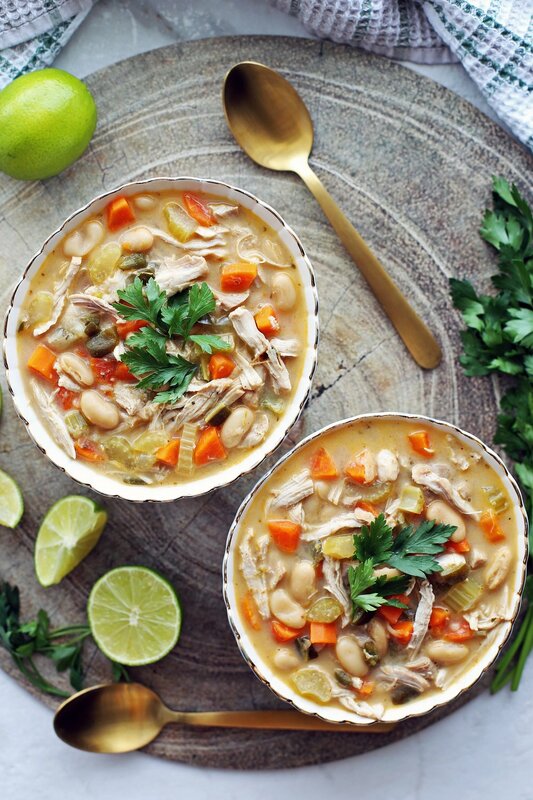 Featuring an assortment of fresh vegetables with hearty white beans, this Instant Pot chicken chili recipe is simple and delicious. A quick and filling meal to warm you up during the winter. Warm up with a delicious bowl of Instant Pot tomato soup. A quick and easy recipe that brings big flavour with few ingredients. Perfect as an appetizer, side dish, or light meal. 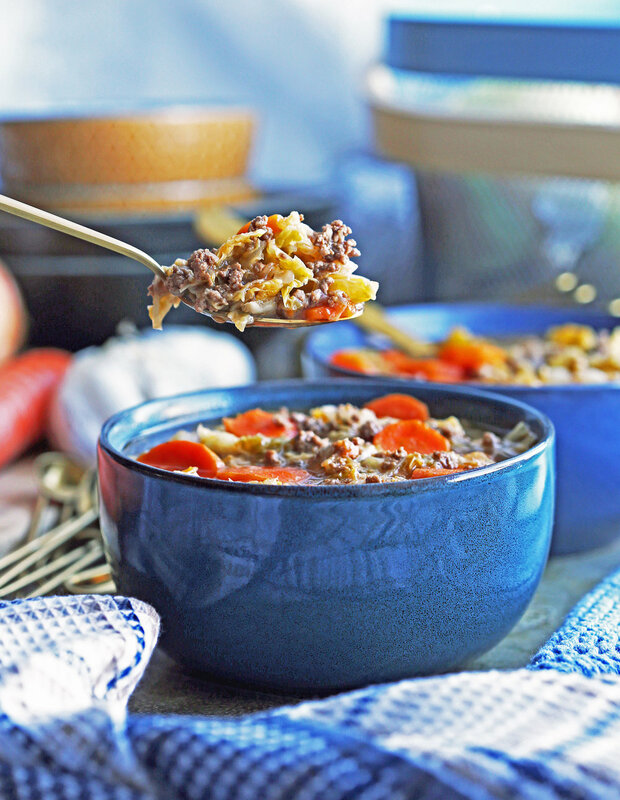 Beef and vegetables make for a hearty combination of textures and flavours in this healthy Instant Pot cabbage soup recipe. A satisfying way to warm up that’s ready in under an hour. A hearty and healthy vegetarian chili recipe where roasting makes all the difference. Featuring sweet butternut squash, protein-rich black beans, and a mild spicy kick of jalapeno. An Instant Pot vegan soup recipe featuring vibrant orange sweet potatoes and creamy coconut milk. Delicious, healthy, and easy to make. This is one creamy, filling, and delicious soup! Potatoes and leeks are the star ingredients in this Instant Pot recipe! Spinach and parmesan bring additional flavour and colour to this easy and fast meal. Hearty and delicious! This easy soup is loaded with healthy protein and fiber-rich ingredients! It’s vegan and gluten-free too. Delicious and comforting! 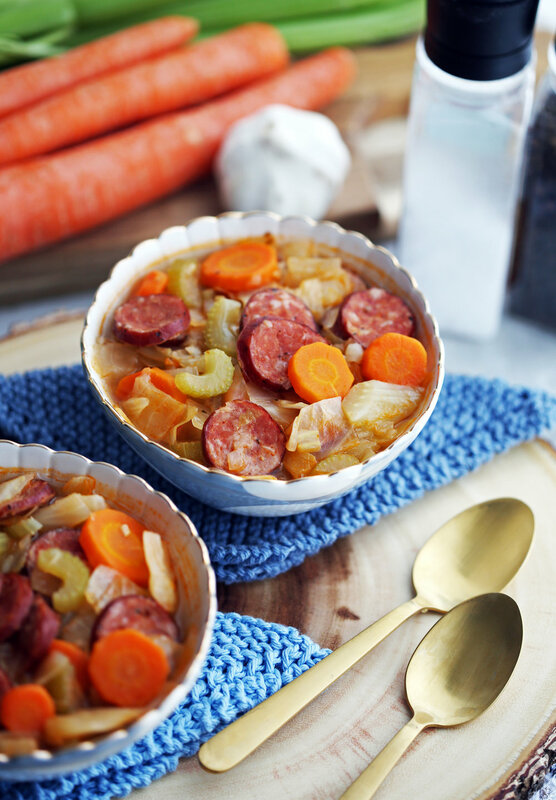 This hearty soup is full of healthy green cabbage, fennel, and kielbasa sausage. All made easily in the Instant Pot! Enjoy this hearty, comforting soup in the wintertime! 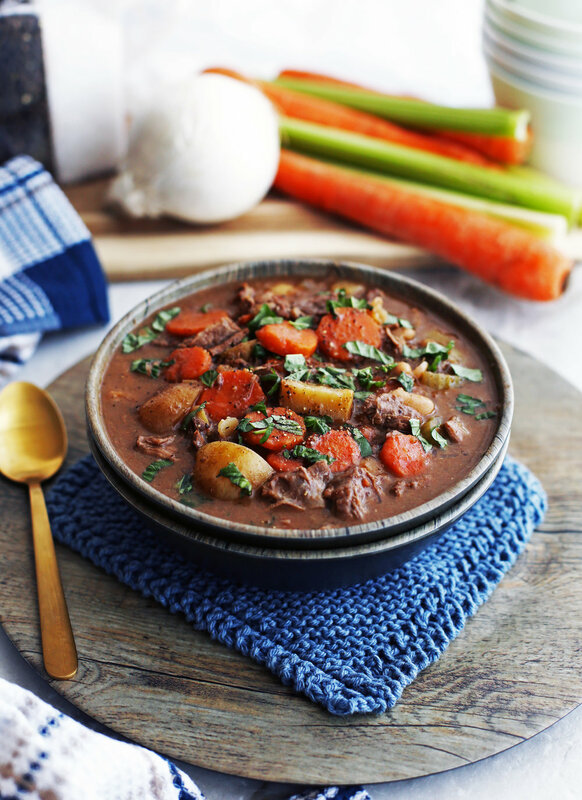 Full of delicious tender beef, pearl barley, fresh vegetables, and savoury mushrooms. 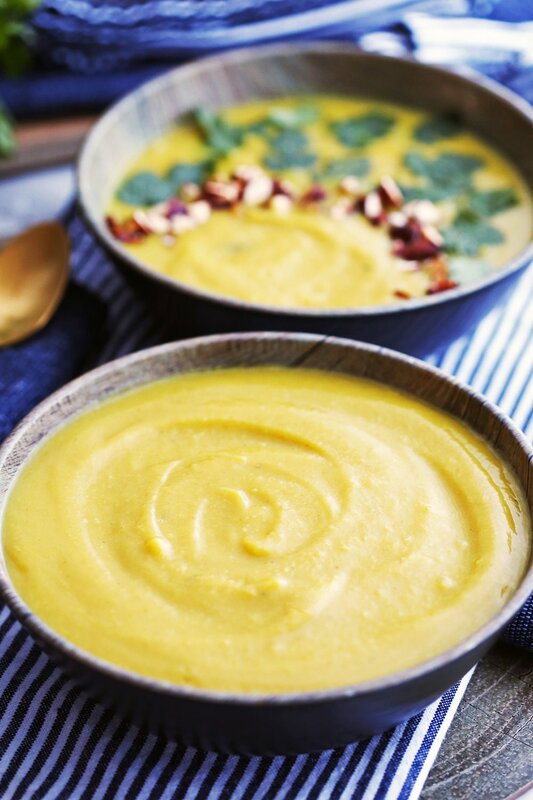 Warm up with a hot bowl of delicious and healthy Butternut Squash Apple Ginger Soup! It's vegan and gluten-free too. Delicious, comforting, and filling. This soup is full of healthy fresh vegetables and fiber-rich brown rice! It’s vegan and gluten-free too. 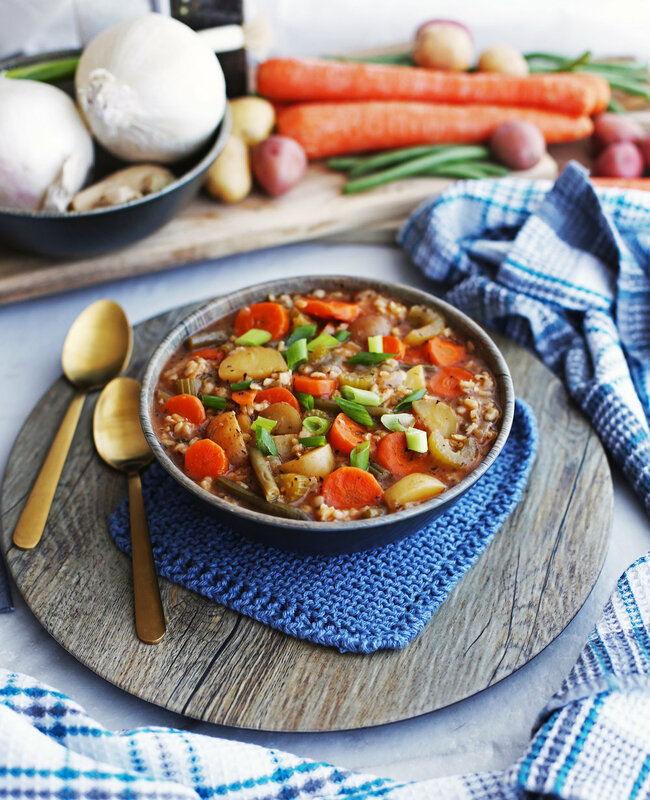 A hearty beef and vegetable stew featuring the robust savory flavour of Chinese five spice. Quick and easy to prepare with the Instant Pot! 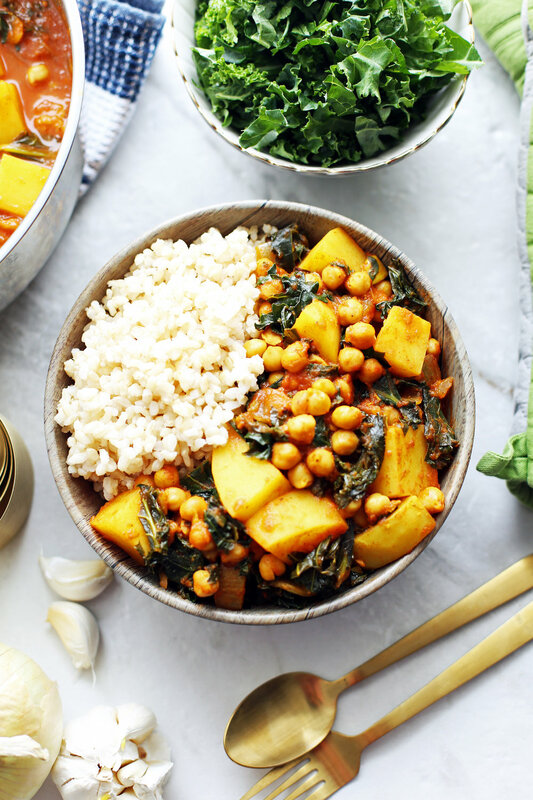 A flavourful 40 minute dish featuring chickpeas, potatoes, and kale all in a spicy tomato based curry. It’s vegan and gluten-free too! Serve it with rice for a complete meal! Flavourful, hearty, and ready in one hour! 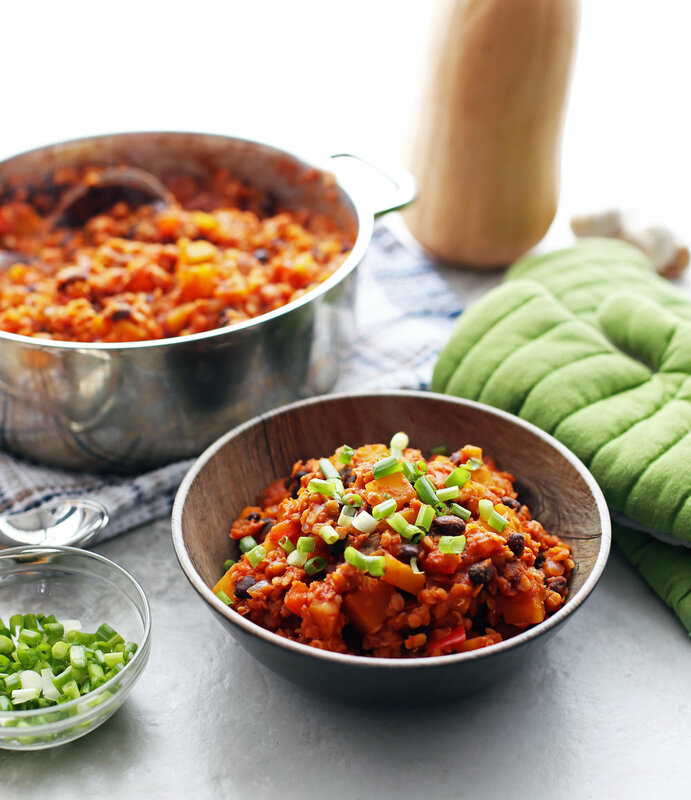 Try this delicious and healthy one-pot vegan chili featuring red lentils and butternut squash. Perfect for chilly days! Dutch Vegetable Soup with Meatballs or groentesoep met balletjes is a healthy, simple soup with vegetables, vermicelli pasta, small beef meatballs, and fresh herbs. One-pot and ready in 30 minutes! A classic soup that is heartwarming, healthy, and delicious. Perfect for a chilly day and ready in 30 minutes.